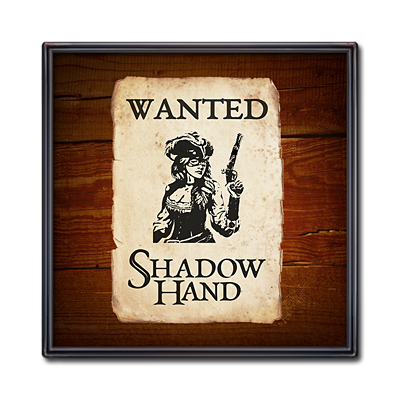 Click here to wishlist Shadowhand on Steam! Since the last post we’ve mostly been designing and implementing some new lock and key types for the game. That’s gone well and they are nearly done – more on that below. But we’ve also done a bunch of other things. 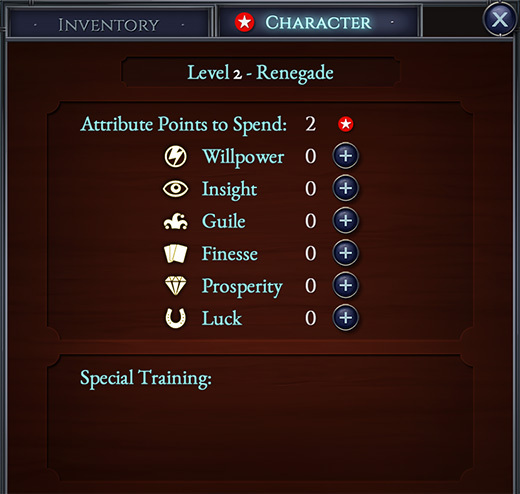 The image above shows all the active and passive abilities available in Shadowhand. The active ones require charging by removing playing cards from the tableau before they can be used. The required charge varies from 40 to 70 which basically means somewhere between one and two hands of cards. I spent a while working out their relative strengths before setting these values. If you boost your willpower chracter stat you can make them charge faster, which can definitely come in handy. Speaking of character stats (see image above), I also spent some time evaluating the relative effectiveness of our game’s unusual list of character stats and then balancing them. These stats don’t directly affect combat like most RPGs, they affect the cards instead. I’ll still need to run some tests on the active/passive abilities and the character stats later on to check that my balancing guesstimates are OK.
A recent small addition to the game is to have a gold crate which is hidden under cards. It won’t occur very often but will be a nice treat when it’s found. 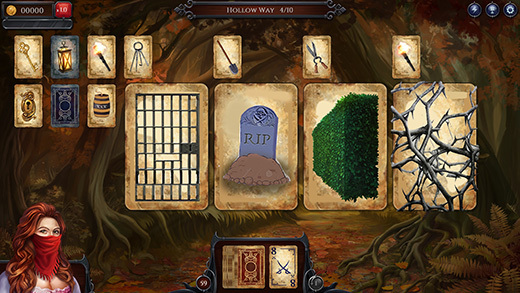 Some of the new locks and keys are related to the plot and only occur on specific chapters, but others have been designed to be resued on several chapters such as the lantern and dark card, and the torch and gunpowder barrel. Notice that we’ve also added some large locks to the mix. These will cover lots of cards and so will force the player to complete one half of the tableau first before they can proceed. Also we can hide cool things under them like crates of gold, potions, bombs and story/goal items. – Reviewed the story to make sure it all makes sense. – Added support to game and level editor for new lock/key types. – Plugged all the new story/goal items into the game and coded goals for them. – Wrote found item messages for the new story/goal items. – Set placeholder goals for all the chapters in the game. I’ll balance these later. – Plugged all the new lock/key types into the game and made them work except for particle effects. – Added in placeholder sounds for new lock/key types. Probably most of them will be final. – Coded lantern with overlay glow under mouse pointer when carrying lantern. – Added particle effect for using lantern on dark card. 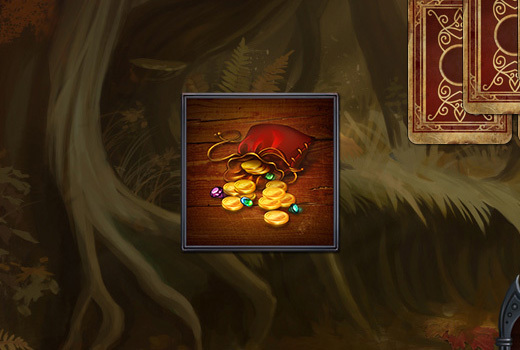 – Changed Prosperity stat to a chance to double gold award from under card piles. – Made sure retrying or quitting a training chapter removes the training. – Fixed a rare bug with using Charging Stallion on last card in a duel layout. Found by a beta tester! – Changed the way “new” stars work on inventory tabs. They now clear as soon as the tab is viewed even if you haven’t checked out all the new items on that tab. – Made new weapon base cards with “damage” label on them to make it clearer. – Added page up/down to level editor to cycle through levels linearly. The last couple of weeks I’ve been balancing the first 5 chapters of the game, preparing a beta test with session logging, and analysing the results. More on that below! Shadowhand has a built-in AI simulation that can test both puzzle and duel levels 1000s of times and output the results to a file (see example above). I can then use those results to set up chapter goals for things like getting a Combo of X, or collecting Y stars, or earning Z gold. It’s super-useful. I also use the simulation to first balance a duel with an enemy to check they are possible to beat but are not too easy or too difficult. 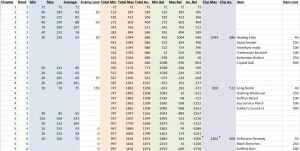 Then I take a look at range of turns to beat (in graph form) and use that to calculate the silver and gold star goals for each duel. 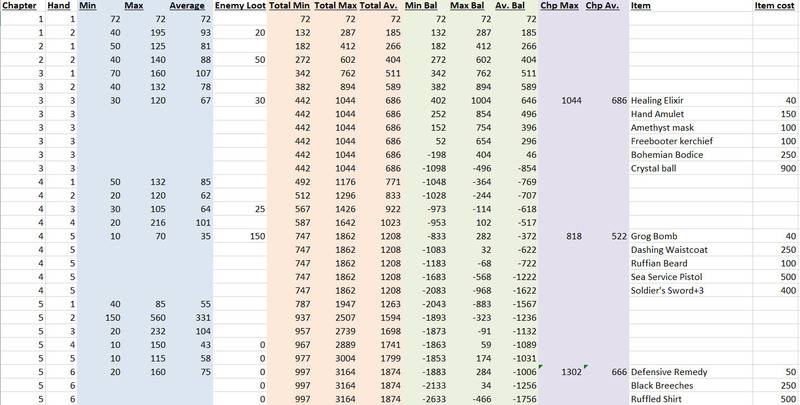 Then I log the min/average/max amount of gold earned on each hand/duel in a spreadsheet (see example above), which I can use to work out what prices to set each shop item at. I don’t want the player to be able to afford everything as I want them to have to choose between cool items and to stay motivated to keep playing to earn more gold. When I got the results back from the beta test I was pleased to see that everyone earned between the average and max amounts I had predicted, and that they bought the items I wanted them to but also had individual variation in choices. This means that my gold economy model works and can be extended to the rest of the game. The beta version I sent out last week also logs the player’s actions and then emails the log back to me when they exit. This allows me to compare their playthroughs with my balancing efforts. Luckily everything went as expected which means I can roll out my balancing techniques to the remainder of the game. I also got beta testers to fill out an online survey or to email me with feedback, plus I watched several people play it in person and via Skype. Then I compiled a list of all the action points that I wanted to work on and implemented them in the game. Luckily there was nothing major, just cool little improvements that help the “onboarding” process go more smoothly. I love this sort of work because you get to make small, yet obvious, improvements/fixes to the game that you know will help players enjoy the game more. 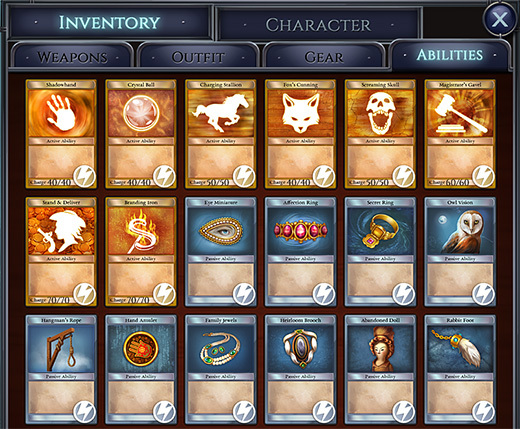 I’ve probably said it before, but Shadowhand has taken a lot of design work. Solitaire games have been made before, and so have turn-based RPG games, but they have never been combined before like this. That’s meant a ton of design spreadhseets and documents have been generated. 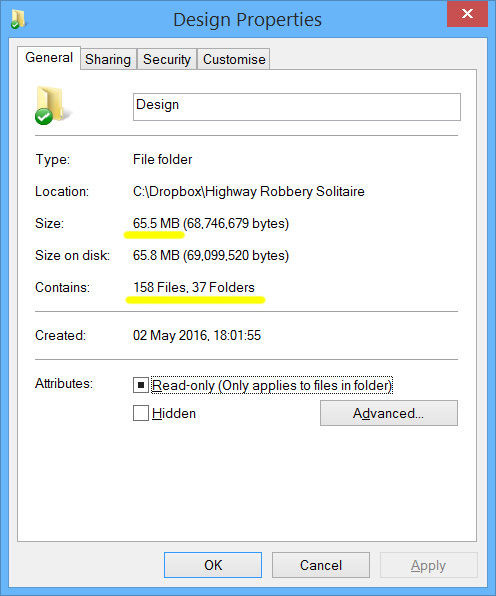 The design folder alone is 65Mb and nearly 160 files, and that doesn’t include visual or sound design, or test results, which were also epic untertakings. At least now the design is all done and it’s clear how I need to balance the rest of the game. There will still be tweaks as I receive more beta tester feedback and maybe also after launch as well, but nothing major as we must ship what we have soon! Shadowhand is an RPG card game for PC/Mac coming to Steam soon. In this developer blog, Jake does some fencing training at a ball! Don’t forget you can wish list it here on Steam! You are currently browsing the Grey Alien Games weblog archives	for September, 2017.